Do you plan to purchase an Apple Watch or already own one of these smart devices and play golf? If the answer is yes and you haven’t yet used your Apple Watch on a golf course, you are seriously missing out. Here are five of the best golf apps to use on your Apple Watch. This free golf GPS system was initially built for use on a smartphone, but has been further developed to offer smart watch features. Using Google Maps as a basis the app gives you accurate distances for almost every known golf course in the world with additional features such as a scorecard recorder, round stats and distance tracking for each iron. There is a premium version which can be purchased on a month-to-month or annual basis that provides even more features, however, the free version is sufficient enough for any avid golfer. The Apple Watch version offers hole-by-hole distance to greens using GPS, hole-by-hole scoring, stat tracking and club tracking to offer advice on what club to hit for the current distance to green. For a free app this is certainly one to try and with over four million users worldwide it shows just how popular this system is. 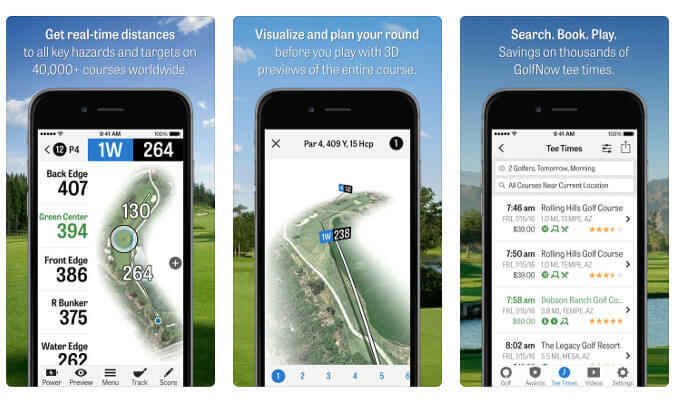 Golfshot is another GPS app that offers distance tracking and scoring abilities on your smartphone and smart watch, with a host of other features. Again this app is built to operate fully on a smartphone, however, the smart watch features are some of the most impressive of all the golf apps. 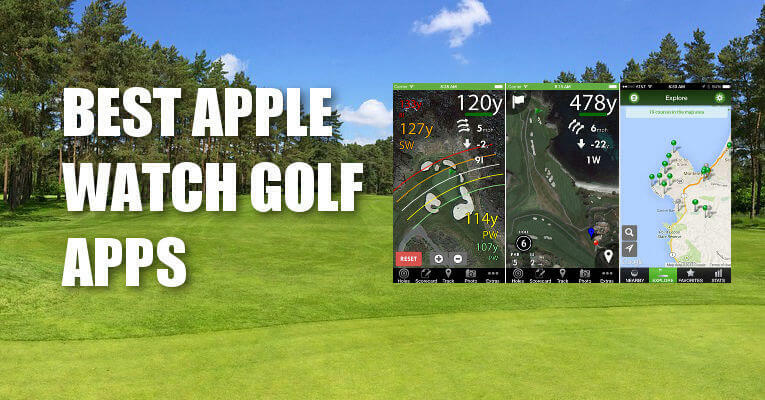 On the Apple Watch app you get the normal distance to the green, but this app even features overhead views of the hole and green with distances to front, middle and back of the putting surface. Other features include a score recorder per hole, as well as distances to other hazards on each hole and suggestions on what club to use based on previous shots with each club. Upgrading to the premium version of Golfshot carries a cost, but includes the ability to book rounds on certain courses using ApplePay and other additional features that make this premium payment worth every cent. Yet another golf GPS and scoring system that can be used on both your Smartphone and smart watch. It should by now be apparent that most golf apps for smart devices are built for GPS and scoring. Hole19 is a free app that includes: GPS tracking, digital scorecard, golf statistics tracking, and the ability to plan and book rounds on the app, as well as being able to share your round and statistics with other friends using the Hole19 golf app. A premium version is available that includes additional features such as distance tracking and measuring that then recommends what club to use per distance. It also includes enhanced statistics recording and improved visuals of each hole along with auto-updating as you move to the next hole. This app is known to be one of the best when it comes to minimum battery usage on both iPhone and Apple Watch. This innovative app works in conjunction with or without a Zepp Sensor which is attached to the back of your glove and measures your golf swing in 3D. The information provided includes your swing path, swing plane, tempo and a whole other host of game enhancing stats to help you improve your swing. 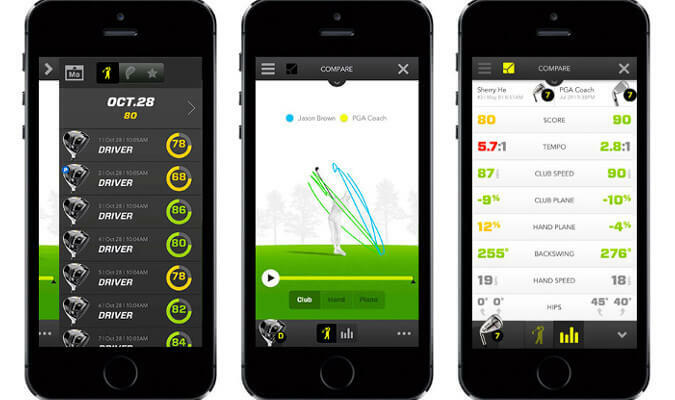 Without the sensor and using just the free Zepp app you get a host of features that include: Score capture and GPS tracking on your smartphone, video and image capture, Smart coaching with certain top tour professionals and golf coaches, professional swing library and access to the Zepp social community system. The Apple Watch features include basic real-time swing metrics, the ability to track your swing and tempo on the range or golf course and synchronisation of your rounds and practice sessions with the Apple Health App. The Zepp Sensor and App is a great package to own for golf fanatics wanting to improve their game and works seamlessly with your smart devices to enhance your enjoyment of golf. 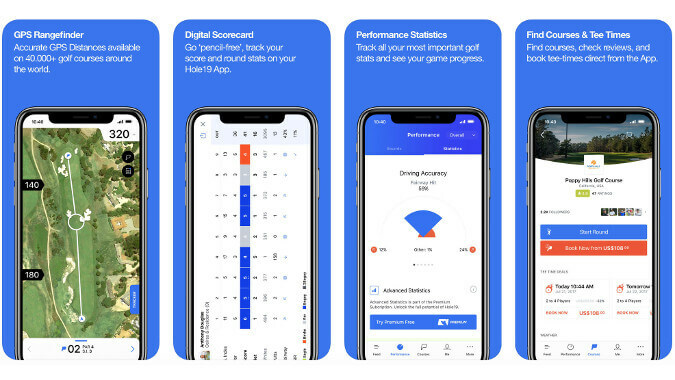 This nifty app uses your Apple Watch to track your golf swing and provide information that will help you improve your game and make your swing more consistent. 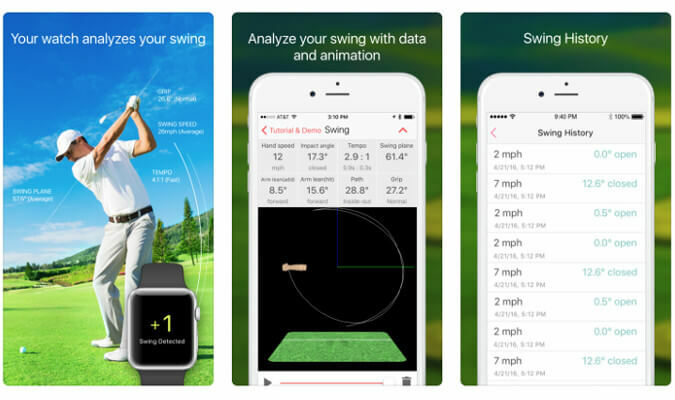 The app on your Apple Watch records your swing and provides information such as: golf swing power and tempo, a 3D visual of your swing path and plane, the ability to rotate the view so you can see your swing from a variety of angles, data recording in the cloud and a host of other features. 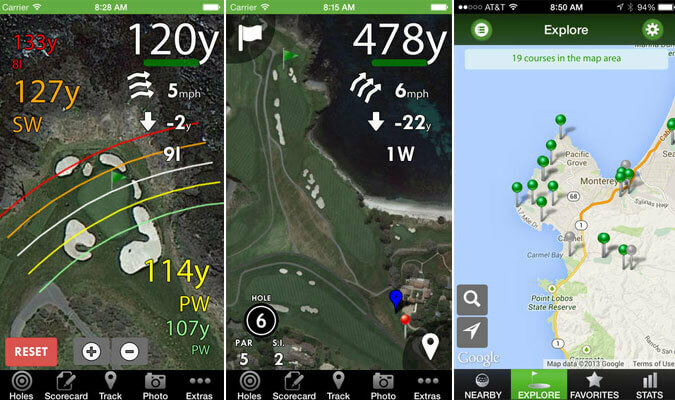 It is a free app, but also has in-app purchases to further enhance your golfing experience. The best part is you do not need to buy any additional hardware to operate the app. You just need a smartphone and smart watch. I’m looking for a golf ap that I can use on my iPhone 4 that does not require I carry my phone. I usually leave my phone in the cart and walk to the hole. And of course, I want it to be free! Is there one out there that fits my requests?